For months I've been on the cusp of buying a new chambray shirt. I had bought one from J. Crew a little over a year ago, but it never truly fit right, was a bit stiff and wasn't the shade that I wanted so I sold it on Poshmark. I vowed that once it sold it I'd wait until I found the perfect replacement and even had my eye on this one. Until I went to South Moon Under last week and laid eyes on this baby. It's legit the softest shirt I've ever owned - love at first touch, I tell you! I never want to take it off and may or may not have worn it three out of the five days I've owned it. It's definitely not the traditional chambray shirt - which I still plan on buying given how much I've already worn this one - but I think the tie dye is perfect for summer! And the pattern on the inside of the cuffs and where the buttons meet is the sweetest little floral print. Also, have I mentioned how. freaking. soft. it is? Like buttah! Do you have a piece of clothing your wardrobe can't exist without? P.S. Don't forget to enter my latest giveaway for your chance to win a pair of earrings from Blue Nile! Love this look - these colors are my favorite right now and you styled the shirt perfectly! I just purchased another chambray top yesterday (whoops!) but love the idea of one that'd tie dye...so cute! 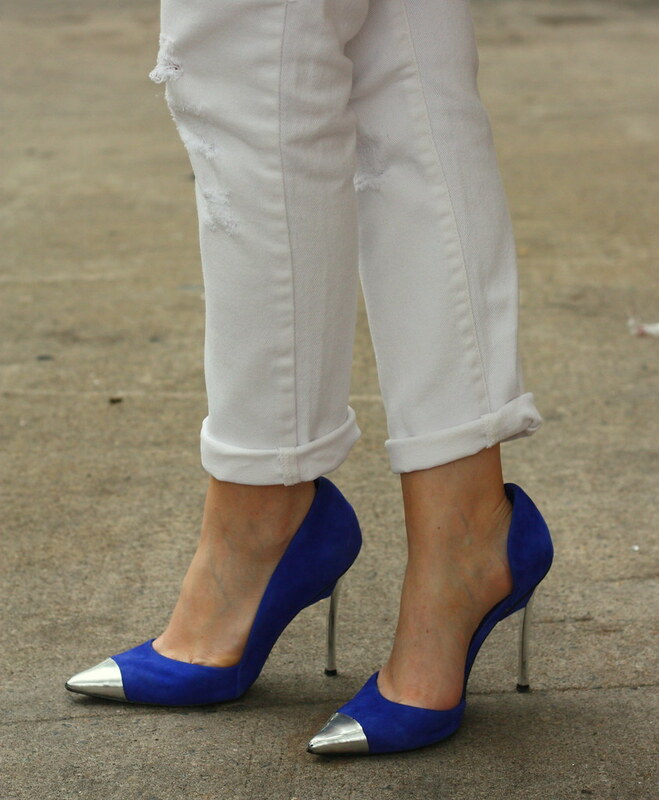 I love chambray obviously but those distressed white jeans are awesome!! I love the whole look! Blue & white is always a winner in my book, especially with your amazing hair color! I wore my chambray with white jeans yesterday too. Love it. I am a huge fan of white jeans in the summer! OMG LOVE that shirt on you! I never though of tie dye chambray.. I've been looking for a more fitted chambray top. And those pumps - amazing. What a super cool top! Definitely a nice pairing with white denim! You look awesome. LOVE that shirt! 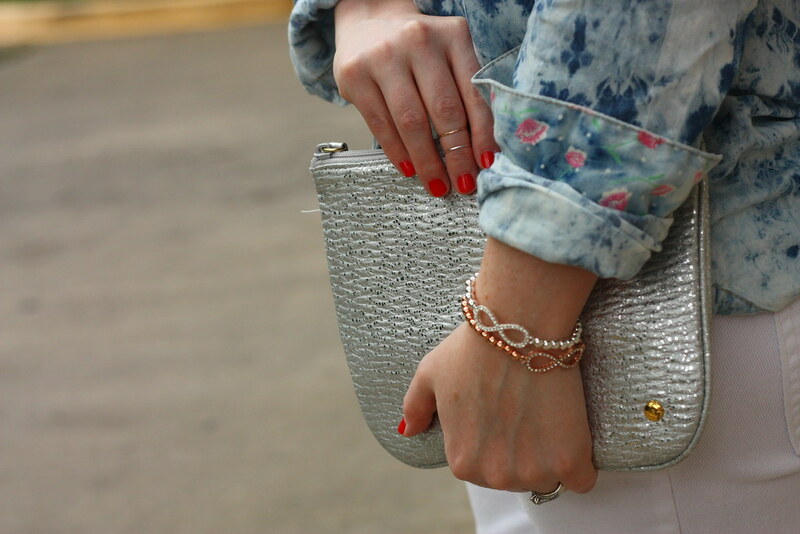 I love how it's a different spin on your standard chambray and not to mention it looks fab on you! So cute! Such a great look! Love the top!